Being experts in wet chemical conductometric analysis, we focus on the measurement of corrosive gases and carbon compounds at trace levels. This analytical principle makes the reliable determination of concentrations within the range of grams as well as nanograms (ppb) possible. Our analysers are installed in both laboratory and continuous process analysis applications also including setups in explosive areas. Our customers worldwide are mainly plant manufacturers and users from chemical industry. Under the trade names MICROGAS and ULTRAGAS we offer process and laboratory analyzers for the determination of corrosive gases (HCl, Cl2, H2S, HF, SO2, SO3, CO, CO2, CH4, CKW). Exhaust gases from industrial processes as well as flue gases from any type of combustion plants often contain reactive gas components, the content of which must be measured in raw gas as well as in scrubbed gas. Here, MICROGAS analyzers are used for the measurement of SO2, SO3 and H2SO4 aerosols, HCl, NH3 and Cl2. MICROGAS analyzers have proven their quality as continuous process analysers in cracker installations, fertilizer plants and for monitoring of H2S in synthesis gas or in natural gas for decades in installations worldwide. 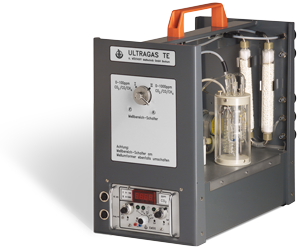 ULTRAGAS analyzers are made for the determination of trace gases in the area of immission and workplace monitoring. Components measured are mostly SO2, SO3, HCl, NH3, Cl2 or CHC after thermal digestion. The clear and compact structure of the analysers allows both the ambulant and stationary installations as well as the implementation in test vehicles. ULTRAGAS analyzers are widely used because of their high precision for the verification of calibration gases with trace contents of SO2, HCl, Cl2, CO, CO2, NH3, H2S or CHC. Being experts in wet chemical conductometric analysis, we focus on the measurement of corrosive gases and carbon compounds at trace levels. 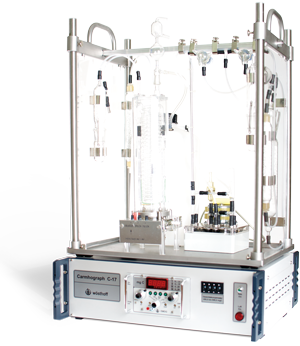 With our CARMHOGRAPH analyzers we offer instruments specially designed for the determination of CO and CO2. In combination with digestion units of this analyzer series, CARMHOGRAPH analyzers can also be used for the determination of carbon in soil samples. As a result of the analytical principle, concentrations can be reliably determined within the range of grams as well as nanograms (ppb). 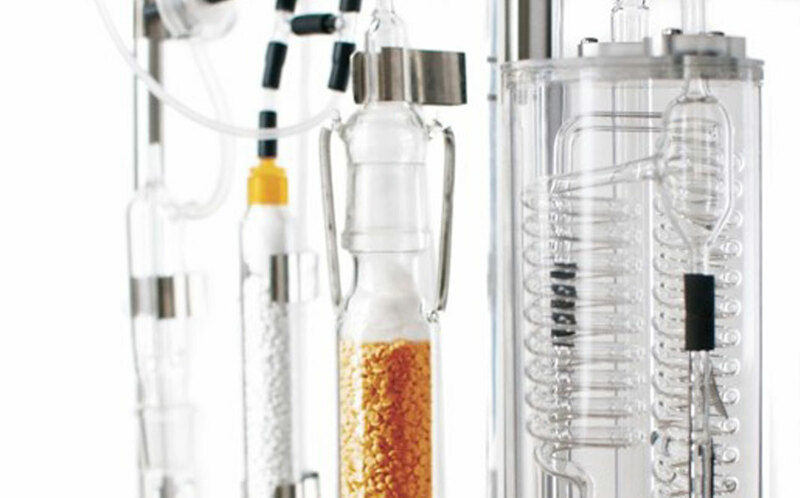 The analytical principle makes the reliable determination of concentrations within the range of grams as well as nanograms (ppb) possible. In the area of soil and solid analysis, the CARMHOGRAPH analyzers are used for the determination of the carbon content of soil or solid samples. The carbon contained in the sample is thermally or chemically digested and the released CO2 is measured in a wet chemical process. Other measurable components are NH3, HCl, SO2 and CKW. ULTRAGAS analyzers are for example used for the determination of the respiration of micro-organisms in soil samples. In this case the CO2 production of a wide range of samples can be measured in parallel.